New home sales bounced back in March to maintain the modest recovery underway from the record lows reached in 2012, according to the Housing Industry Association (HIA). The HIA New Home Sales report, a survey of Australia's largest volume builders, showed that total seasonally adjusted new home sales increased by 4.2% in March 2013, taking sales back to volumes comparable to 12 months ago. Also in March, new detached house sales increased by 3.9% following a 4% decline in February. Sales of multi-units rose by 5.6% after dropping by 11% in February. HIA chief economist, Harley Dale, says a bounce-back in March after a ‘disappointing’ February result is a positive sign. "It was important we saw a rise, even one that didn't completely eradicate the February decline." However, he notes, the overall trend of recovery since November last year means sales volumes are now at ‘low’ rather than ‘record low’ levels. 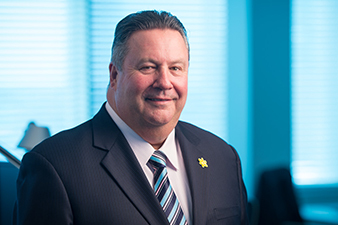 Dale says the Federal Government has the opportunity to boost new housing supply through economic reform, which will lift productivity and revenue. "It is vital that in Australia's deteriorating budgetary environment there is a keen focus on spending constraint, although a myopic attack on current legislated policies which are making a positive economic contribution should be avoided," he argues. "However, there is also an urgent need to identify sources of revenue growth - the residential construction sector can deliver such growth in spades if the government is bold enough to talk reform as well as budgetary crisis, the latter of which is damaging to business and consumer confidence."